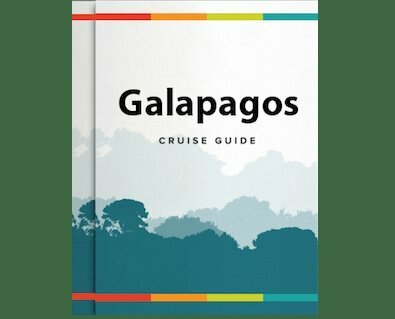 This 8-day Amazon voyage has been recognized as one of the 25 Greatest Adventures in the World by National Geographic Adventure Magazine and by author Patricia Schultz as one of the 1,000 Places to See Before You Die. This is an exceptional and engaging adventure for families, couples and solo travellers alike, taking travelers to the black waters of the Yarapa River, on jungle walks, meeting shamen, picnicking on the Amazon River and more! Please note that the itineraries below are dependent on the river water level, weather conditions, wildlife behavior, and accessibility to locations, so may vary. Upon arrival in Iquitos, the largest inland city in the world with no roads leading to it, you will be met by your naturalist guide and we will board our air-conditioned bus. Our first stop will be at the CREA Manatee Rescue Center located outside of Iquitos where one of the manatee caretakers will explain how their conservation program rescues, rehabilitates and returns these majestic mammals to the wild. After returning to the bus, we will continue towards Iquitos and enjoy a box lunch while our guide gives us a brief introduction to the history and the present-day reality of Iquitos, the capital of the Peruvian Amazon. There are more than 40 indigenous groups in the greater region, and the famous rubber boom of 1880-1914 brought great wealth into the area. We will stop at the Museum of Indigenous Cultures; take a short walk around the Plaza de Armas to see the “Iron Building” designed by Gustave Eiffel and stop at the “Casa Morey”, an example of the opulence of rubber boom architecture, and the “Ayapua” steamship which once transported rubber but is now a museum dedicated to the time period. After this afternoon of adventures in Iquitos, we will continue to the private docking area of the Amazon Star where we will board ship and begin our cruise on the Amazon River. After an orientation session, safety briefing and crew introduction, we will enjoy a welcome drink followed by a delicious buffet dinner. Every night, before retiring we will be briefed on tomorrow’s adventures. For those eager to wake at dawn, there will be a bird-watching session from the ship’s bar deck. This is the perfect time to see some of the exotic birds native to the Amazon waterways. After a hearty buffet-style breakfast in the dining room, we will explore by skiffs on the very scenic Amazon River passing its picturesque villages while learning about the flora and fauna from the expert naturalists who will accompany us. We will pass the confluence of two powerful rivers, the Marañón and Ucayali, which meet to form the Amazon, now considered the longest river in the world. The full length of the Amazon is 4,345 miles when measured from its origin in a small stream in the Peruvian Andes to the mouth of the river in the Atlantic Ocean. After lunch our naturalist guide will talk to us about life in the Amazon rainforest and how the people live in rhythm with the mighty river. In the afternoon we will explore the beautiful black-water Yarapa River, which because of the presence of tannins from decaying vegetation is acidic and darkly stained, resembling tea or black coffee. In this area we have a good chance of observing many species of birds, monkeys, bats, and sloths. Before dinner there will be a musical presentation by the crew followed by dinner where we will enjoy a buffet of Peruvian and local regional specialties. Before breakfast we will set off to explore the pristine forest in the Yanallpa area inside the 5,000,000 acre Pacaya Samiria National Reserve. After breakfast, we will visit a local river village and its school where we will interact with the children and their teachers. As we walk through the village we will meet local people and see their farms and homes and learn about their unique lifestyle, without any connection by roads to the outside world. There will also be an opportunity to purchase one-of-a-kind handicrafts made by the village artisans. Our buffet lunch today will be served in open-air on the upper deck of the Amazon Star, where we can enjoy the breeze and the scenery as we travel through this breathtaking reserve. After lunch, our naturalist guide will tell us more about the Pacaya Samiria National Reserve, the largest protected area in Peru, with its incredible biodiversity and multiple conservation efforts led by the Peruvian government and its allies. In the late afternoon, we will explore along the Dorado River where we will enjoy the sunset. After dark, we will stargaze and listen to the night’s symphony of sounds, with possible sightings of caiman, fishing bats, frogs, and night birds such as the Common Potoo, Great Potoo, nightjars and night herons, as well as other nocturnal wildlife of the Amazon Rainforest. Once again a wonderful dinner will await us on board. This morning there will be an early wake-up call and we will depart the ship in small skiffs to travel farther along the beautiful Dorado River, taking a picnic breakfast to enjoy along the way. We’ll try fishing here for the infamous piranha and other species of tropical fish. The diversity of fish in the Amazon River and its tributaries is amazing, with more species found here than in the entire Atlantic Ocean. After lunch back on the Amazon Star, our chef will lead a cooking class for those interested in learning how to make a traditional Amazonian “juane”, a preparation of rice and chicken wrapped in a local leaf called “bijao”. In the afternoon we will explore another tributary named Supay Creek in search of the pygmy marmoset, one of the smallest primates in the world. Kayaks and paddleboards will be available for those of us who want to paddle on our own to discover along this river. We’ll be looking for large raptors, such as the Great Black Hawk and Black-collared Hawk, as well as different varieties of egrets and herons. We will return to the ship for dinner. After breakfast we will visit a traditional open food market in the city of Nauta where we will see a colorful display of many rainforest products, fruits, vegetables, fish and spices, as well as many local people doing their daily shopping. After lunch our naturalist guide will share tales of the Amazon, stories and myths of the local culture. We will depart early this morning with a picnic breakfast to explore in the Yanayacu Pucate River Basin stopping first at the ranger station to sign in before entering this very important area of the Pacaya Samiria National Reserve. This is a perfect place to see macaws flying overhead and to spot pink and gray freshwater dolphins in the river. We will also have the opportunity to swim in this blackwater tributary. After lunch back on board the Amazon Star, our guide will teach us more about the Amazon River, its source and its course before reaching the Atlantic Ocean. In the afternoon we will go along the Nauta Caño Creek to search for sloth, marsh birds and dolphins sharing the waterway with us. Kayaks will again be available for those interested in discovering on their own. After dark we will return to Nauta Caño to enjoy the stars, night sounds and to try to spot nocturnal wildlife. After breakfast, we will visit Puerto Prado, a small river village where a local resident will take us along a terra firme primary rainforest trail through their community reserve. Our naturalists will show us some of the incredible biodiversity of the forest as we search for poison dart frogs, various insects, and snakes, many of which are unique to this environment. We may also see saddleback tamarins, small primates that travel in groups, shaking the vegetation as they jump through the highest branches of the trees. At Puerto Prado we will see a lake covered with giant Victoria Regia lilies and visit a shaman who will explain his traditional healing using medicinal plants and spiritual practices. The shaman will perform a traditional blessing for those who are interested in taking part in this ceremony. Before we leave, a women’s artisan group from the village will show us their exquisite handicrafts for purchase, including birds and animals fashioned from “chambira” palm fibers. After lunch on the Amazon Star, our chef will hold another cooking class for those interested in learning how to make the traditional Amazonian fish dishes of “patarashca” and Peruvian ceviche. There will also be an opportunity to learn towel origami from one of the cabin stewards. This afternoon, on our last excursion on the Amazon River, we will celebrate our journey with a sunset champagne toast. A special farewell dinner is planned for us tonight with a musical presentation by the crew. Our final breakfast on board will be early. Following breakfast, we will disembark from the ship for the airport for departure flights or to the city of Iquitos. End of services. We hope you have had a fantastic Amazonian adventure!